It takes Temerity to dig up the past then get Grizzly with it. 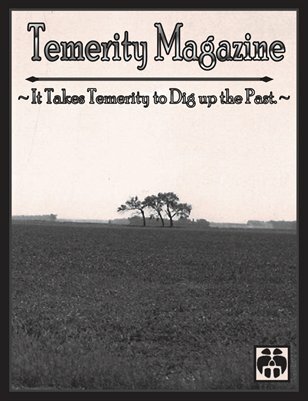 Temerity Magazine is your Grizzly Relic & Treasure hunting online magazine. I want to tell your grandparents, parents and YOUR Pioneer Spirit stories as we all strive for our American Dream! Join us as a reader, then an author or advertiser. Get Grizzly and let us hear your growl!